Cute Shanghai: Cute Shanghai is now on the Kawaii Directory! 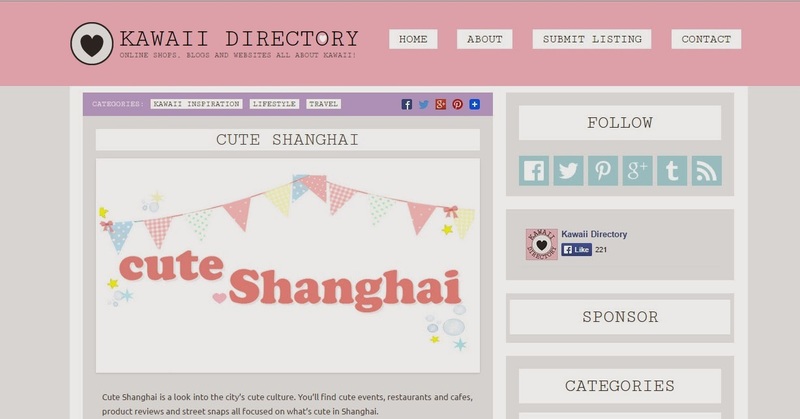 Cute Shanghai has been added to the Kawaii Directory. It's a great place to find shops, blogs and websites all about kawaii. I'm so happy to have my blog posted in the directory. Click on over the directory page if you are looking for more kawaii blogs to follow. They're nicely organized by category so you can find a cute site that fits your need.